As a bride, finding the perfect accessories to complement your gown and not overpower it is very important. Your wedding gown is the main element of your wedding day look and you want your bridal accessories to enhance complement your gown. 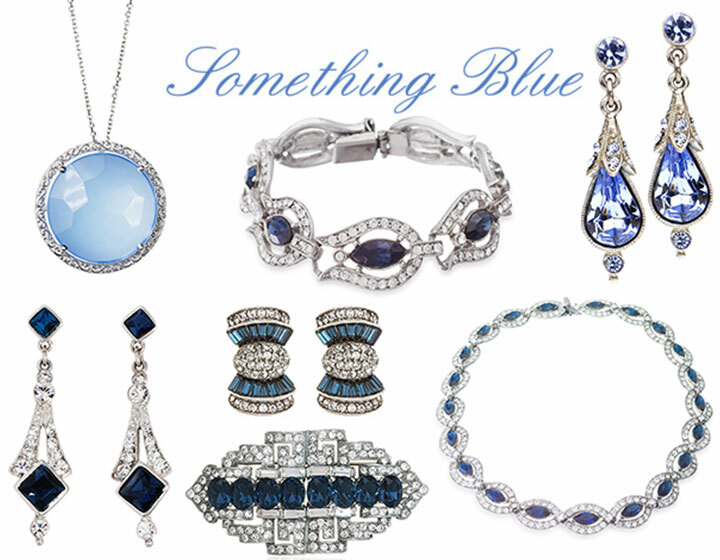 The perfect jewelry selection will add to your gown and not out-shine it. 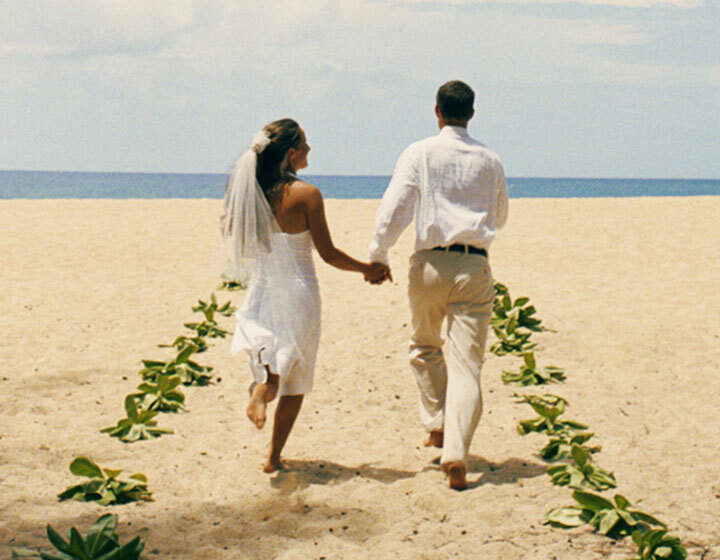 Your honeymoon is the celebration of your union, a time for the couple to relish in their marital bliss. As a bride, you probably haven’t come down from your wedding day high yet; all of the glamour and beauty of the day. Brides always wonder what they will do will their bridal earrings after the wedding day. You can keep your bridal moment going by letting your bridal jewelry become your honeymoon jewelry. It is a great way to take parts of your wedding day ensemble with you on your honeymoon. There is no law that says a bride has to wear white. 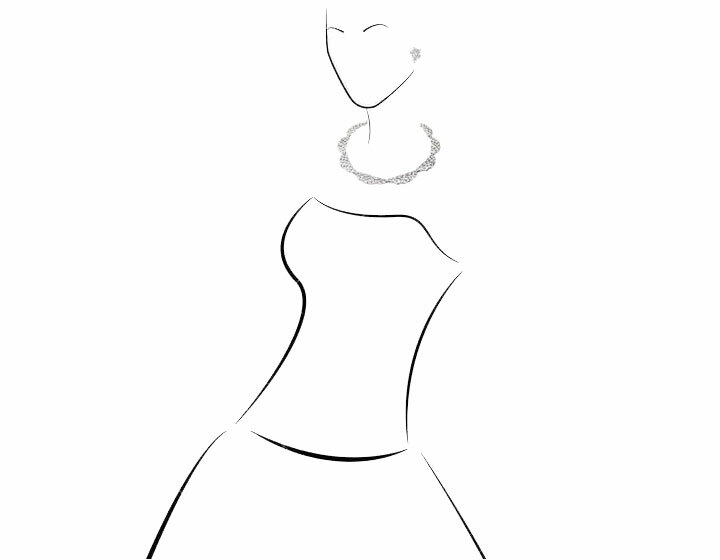 In fact, white wedding gowns have only been in vogue since Queen Elizabeth married Prince Albert in a white dress in 1840, setting the bridal trend. More and more brides are opting out of the traditional white dress, especially celebrity brides. 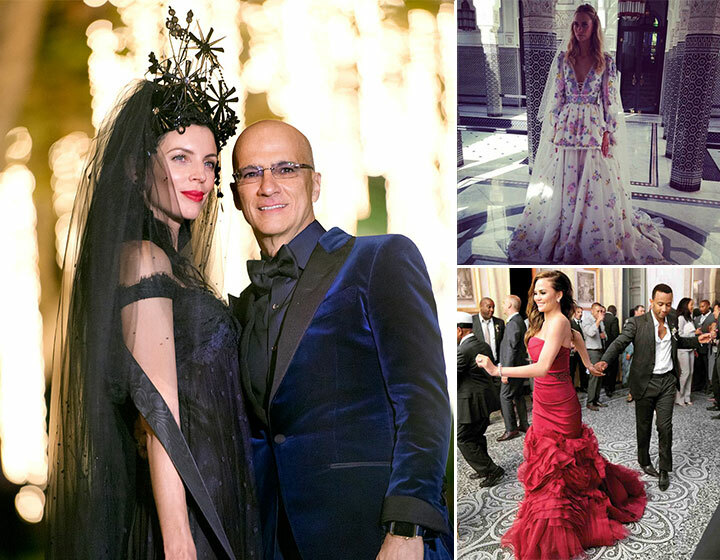 Going for a pop of color, floral print or soft ombre is becoming increasingly more popular and designers are responding to this trend by including more colored gowns in their collections. We love the traditions of the wedding day and the many different ways couples can incorporate those traditions into their special day. 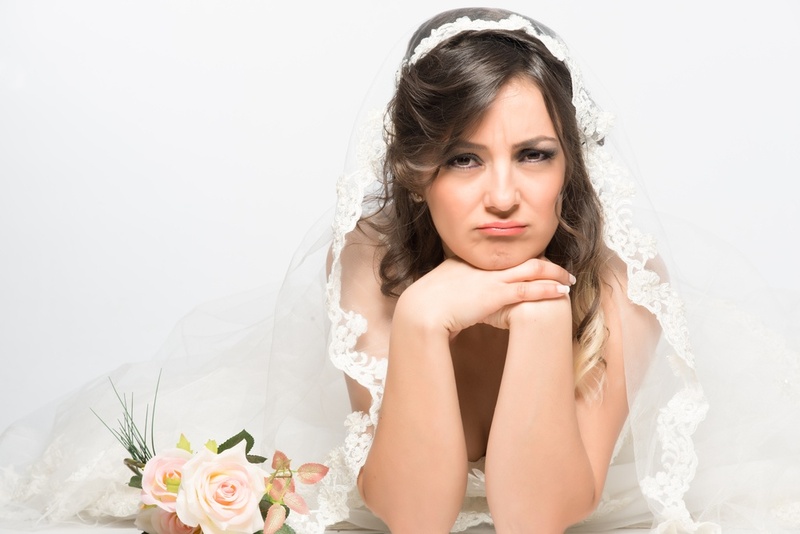 Finding your something new is easy enough, but the something old can be tricky as bridal styles and trends change and things from the past can sometimes feel outdated. 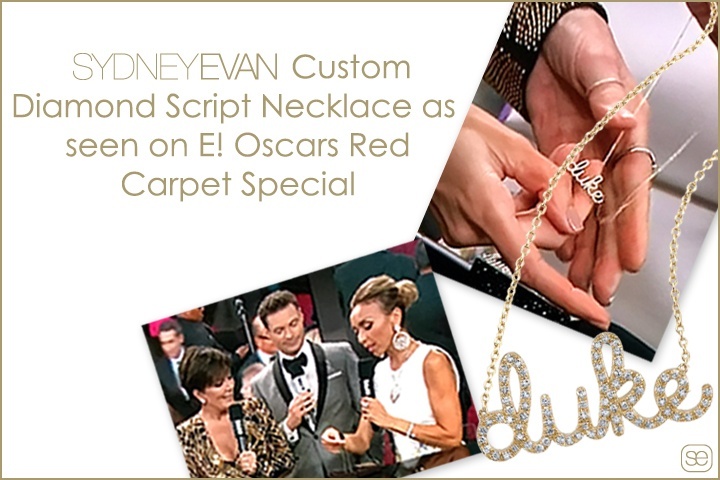 Who could forget about the amazing jewels from the Oscars Red Carpet, but what you might have missed was Giuliana Rancic’s custom Sydney Evan diamond script necklace. Ryan Seacrest gifted her with a script necklace of her son’s name. With Mother’s Day right around the corner and wedding season on its way, Sydney Evan’s custom necklace is such a great idea for Mother’s Day gifts or gifts for the bride to be. 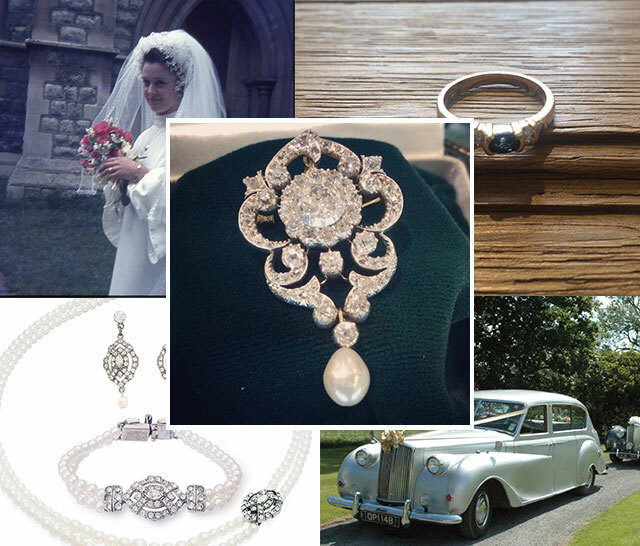 We find that often times our brides have put their wedding accessories off to the last minute. After all of their other bridal expenses – they are in a frantic search for the perfect bridal earrings that won’t throw them completely off budget. 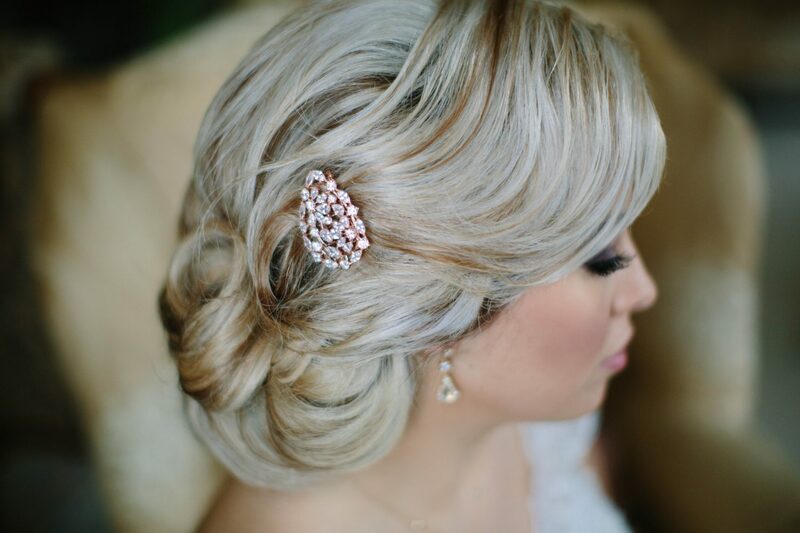 Your bridal accessories should add the final touches to your wedding day ensemble, but those final touches do not have to break the bank and blow away your budget.